Step by step, Taco Bell is shedding its old skin. The 54-year-old fast-food chain already removed artificial flavors and colors from its food; has committed to switch to cage-free eggs by the end of this year; and by 2017 will stop using antibiotics important to human medicine in chicken, as well as some artificial preservatives and additives. Now the chain is preparing to test four new restaurant designs, with interior design features like exposed brick and faux fireplaces. 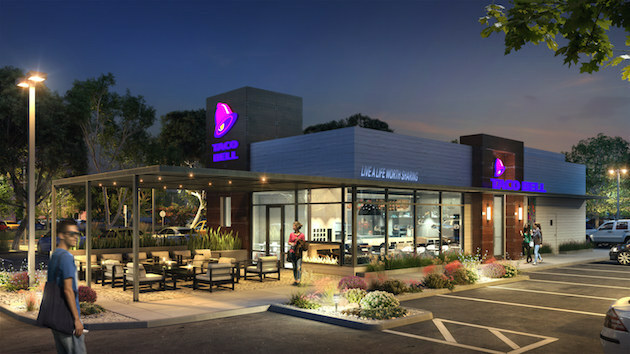 To start, the chain will remodel four restaurants in Southern California, and then four additional stores in other markets around the country this year. More will be launched in 2017, though the company declined to say how many, or if it expects most of its restaurants to eventually adopt these new looks. This is an excerpt from an article posted on Buzzfeed.com. For complete article, click here.